Choose gifts to relax, revitalize and renew dad this Father’s Day. We’ve created spa packages to celebrate dad, while providing him true moments of peace. This Father’s Day, give dad The Tension Soother ($65.) which includes a sixty-minute massage treatment to relax tired muscles, giving dad some serious relief. If dad needs a treatment that is a little more intense, The Revitalizer ($85.) includes a ninety-minute massage and will definitely restore dad’s entire sense of well-being. If you think dad needs even more relief, add a Men’s Back Exfoliation ($10.) to either spa package. This treatment will soothe and cleanse dry, dull skin utilizing a sea salt scrub blended with Aveda’s Men’s Pure-Formance Composition. Additionally, either package may be enhanced with a post-treatment, refreshing rain shower, which is complimentary for dad. Any of our retail products will also make wonderful gifts for dad. Let our guest services team help you put together a gift he will really love. Has dad tried any of the Aveda’s Men’s Invati or Pure-Formance products yet? They were developed and created just for men. 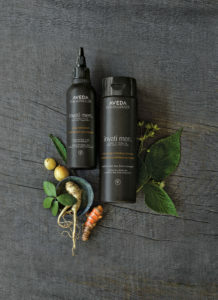 Whether you choose shampoo and conditioner or shaving cream and aroma spray, any of Aveda’s men’s products will definitely have dad feeling and looking his best. Still not sure what to give dad? Let him choose. 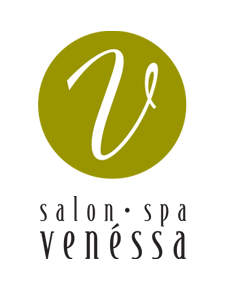 Give dad a Salon and Spa Venéssa gift card. They come in any denomination and can be used for any of our salon and spa services. Whatever you decide to give dad, gifts from Salon and Spa Venéssa will truly give him the relief and attention he deserves. Purchase gifts online, or stop by Salon and Spa Venéssa. Our guest services team will gladly assist you in choosing and wrapping up the perfect gift to give. © salon venessa, all rights reserved.